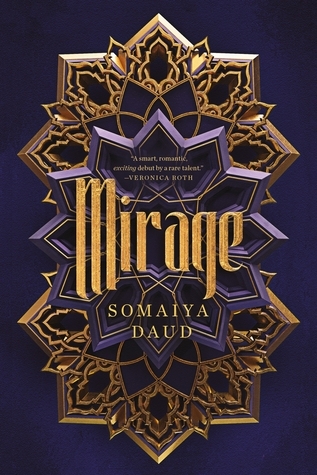 The fifth and final book I read during my March Break Read-a-Thon was Mirage by Somaiya Daud, which was released in North America on August 28, 2018. Mirage promises to be a refreshing and unique coming-of-age story that fans of The Wrath and the Dawn and Children of Blood and Bone will love. In a world dominated by the brutal Vathek empire, eighteen-year-old Amani is a dreamer. She dreams of what life was like before the occupation; she dreams of writing poetry like the old-world poems she adores; she dreams of receiving a sign from Dihya that one day, she, too, will have adventure, and travel beyond her isolated home. But when adventure comes for Amani, it is not what she expects: she is kidnapped by the regime and taken in secret to the royal palace, where she discovers that she is nearly identical to the cruel half-Vathek Princess Maram. The princess is so hated by her conquered people that she requires a body double, someone to appear in public as Maram, ready to die in her place. As Amani is forced into her new role, she can’t help but enjoy the palace’s beauty-and her time with the princess’ fiancé, Idris. But the glitter of the royal court belies a world of violence and fear. If Amani ever wishes to see her family again, she must play the princess to perfection…because one wrong move could lead to her death. The fourth book I read during my March Break Read-a-Thon was Four Dead Queens by Astrid Scholte, which was released in North America on February 26, 2019. Four Dead Queens promises to be an enthralling fast-paced murder mystery where competing agendas collide with deadly consequences. Four dead queens. Three days to catch a killer. Two forbidden romances. One shocking twist you won’t see coming. Seventeen-year-old Keralie Corrington may seem harmless, but she’s, in fact, one of Quadara’s most skilled thieves and a liar. Varin, on the other hand, is an honest, upstanding citizen of Quadara’s most enlightened region, Eonia. He runs afoul of Keralie when she steals a package from him, putting his life in danger. When Varin attempts to retrieve the package, he and Keralie both find themselves entangled in a conspiracy that leaves all four of Quadara’s queens dead. With no other choices and on the run from Keralie’s former employer, the two decide to join forces, endeavoring to discover who has killed the queens and save their own lives in the process. When their reluctant partnership blooms into a tenuous romance, they must overcome their own dark secrets in hopes of a future together that seemed impossible just days before. But first they have to stay alive and untangle the secrets behind the nation’s four dead queens. P.S. A big thank-you goes out to Indigo Books & Music Inc., who kindly provided me with a physical copy of Four Dead Queens by Astrid Scholte in exchange for an honest review. March was quite a successful reading month for me – thanks, in part, to March Break, which gave me 9 days of blissful, uninterrupted reading time! I sat down and set a goal to read five (5) books during March Break (March 9 – March 17, 2019). Early on, this seemed a bit optimistic – even if I did have the week off work – but not entirely impossible. And as I quickly worked my way through book, after book, after book, it was rapidly evident that this was definitely a goal I could achieve. And I did! I finished my fifth book (Mirage by Somaiya Daud) on Saturday March 16, fulfilling my goal over 24 hours before the deadline I had set myself. This, and some other reading, brought me to a grand total of 10 books read in March 2019 (which means I have now read 27/50 books for my 2019 Reading Challenge)! That being said, I still have a handful of unread books already waiting in my “To Be Read Box”, and some other late-March and April releases that I am excited to add to my bookshelves! This means I definitely need to get reading if I want to free up some sapce in my TBR Box! for those of you who aren’t familiar with my “To Be Read Box” system, it’s actually quite simply – I have a box (which fits about 6-8 books) where I keep my unread novels. I only allow myself to purchase a new book if there is room for it in the TBR Box – if not, I need to do some more reading before my trip to the bookstore! So what am I planning on reading in April? Well, as you can see above, I already have a full TBR box, so I will be focusing on tackling several of those books (especially the ARCs I received from Raincoast Books and HCC Frenzy! ), in addition to a couple exciting new releases. This is a shorter list than usual, but I am trying to keep my expectations realistic! WHAT BOOKS ARE YOU MOST LOOKING FORWARD TO READING IN APRIL? 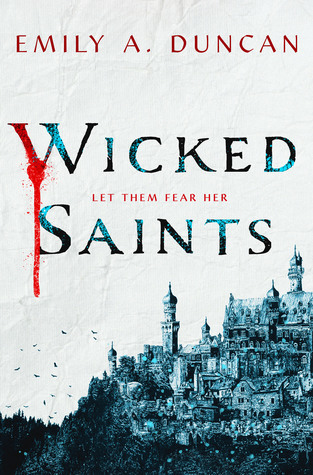 Next up in my reviews of the books I read during my March Break Read-a-Thon is Wicked Saints by Emily A. Duncan, which is set to release in North America on April 2, 2019. Wicked Saints is the thrilling start to Emily A. Duncan’s devastatingly Gothic Something Dark and Holy trilogy. P.S. A big thank-you goes out to Raincoast Books for providing me with an Advance Reader’s Edition of Wicked Saints by Emily A. Duncan in exchange for an honest review. Enchantée is Gita Trelease’s debut fantasy about an orphaned girl who uses dark magic to save her sister and herself from ruin – no matter what the cost may be. 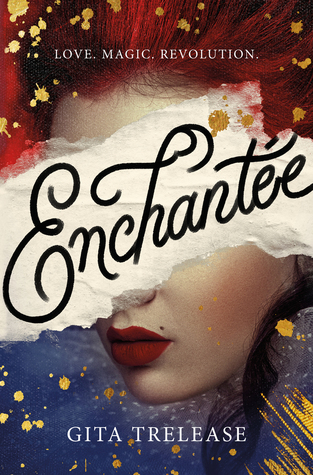 Enchantée was released in North America on February 5, 2019, and it promised to be filled to the brim with treacherous magic, decadent romance, and revolutionary mayhem. Paris is a labyrinth of twisted streets filled with beggars and thieves, revolutionaries and magicians. Camille Durbonne is one of them. She wishes she weren’t… When smallpox kills her parents, Camille must find a way to provide for her younger sister while managing her volatile brother. Relying on magic, Camille painstakingly transforms scraps of metal into money to buy food and medicine they need. But when the coins won’t hold their shape and her brother disappears with the family’s savings, Camille pursues a richer, more dangerous mark: the glittering court of Louis XVI and Marie Antoinette. Using dark magic forbidden by her mother, Camille transforms herself into a baroness and is swept up into life at the Palace of Versailles, where aristocrats both fear and hunger for magic. As she struggles to reconcile her resentment of the rich with the allure of glamour and excess, Camille meets a handsome young inventor, and begins to believe that love and liberty may both be possible. But magic has its costs, and soon Camille loses control of her secrets. And when revolution erupts, Camille must choose-love or loyalty, democracy or aristocracy, reality of magic-before Paris burns. DISCLAIMER: Thank-you to Raincoast Books for providing me with an Advance Review Copy of Enchantée by Gita Trelease in exchange for an honest review. With my TBR Box nearly overflowing, I think that it is safe to say that I have an exciting (and jam-packed) month of reading ahead of me! Good thing March Break is just around the corner – right? And I certainly need a break to catch up on all this reading! After a successful month of reading in January (I managed to read 12 books – I am not even sure how I managed that one! ), I had a less productive reading month in February – finishing a grand total of 6 books. This brings me up to a total of 18 books in 2019, which has me well on my way to my goal of reading 50 books this year! While it may seem like I set me goal a bit low, I have found that I often plateau (in terms of reading) in the Spring and Fall, so I wanted to keep my reading goal reasonable. Why? Because reading is meant to be fun and relaxing, not stressful! 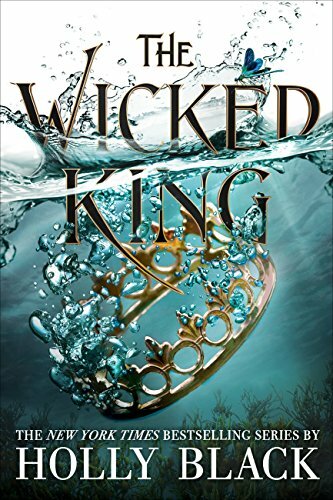 Released in North America on January 8th, 2019, The Wicked King by Holly Black is the sequel to her massively popular The Cruel Prince, which was released last year. After the jaw-dropping revelation that Oak is the heir to Faerie, Jude must keep her younger brother safe. To do so, she has bound the wicked king, Cardan, to her, and made herself the power behind the throne. Navigating the constantly shifting political alliances of Faerie would be difficult enough if Cardan were easy to control. But he does everything in his power to humiliate and undermine her even as his fascination with her remains undiminished. When it becomes all too clear that someone close to Jude means to betray her, threatening her own life and the lives of everyone she loves, Jude must uncover the traitor and fight her own complicated feelings for Cardan to maintain control as a mortal in a Faerie world. Today is Bloodwitch‘s “book birthday”, so it seemed quite fitting to share my review of Susan Dennard’s newest book today! 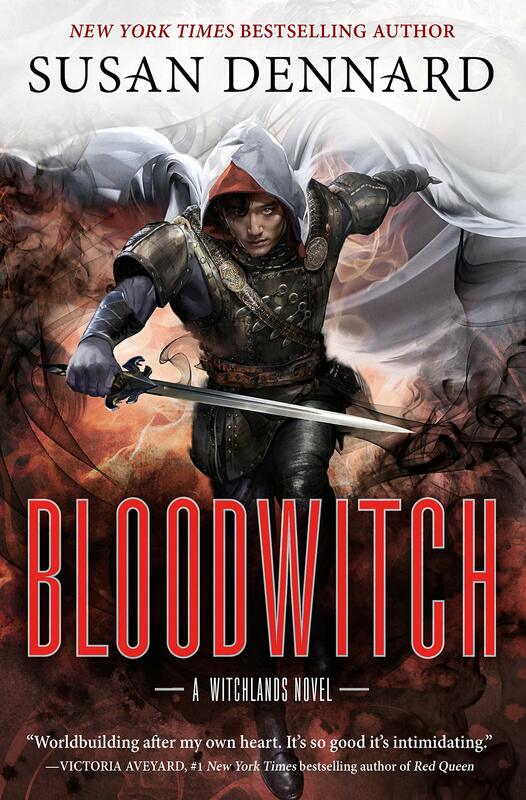 Bloodwitch is the third full-length novel in Susan Dennard’s New York Times bestselling, young adult epic fantasy Witchlands series. Bloodwitch continues with the story of the Bloodwitch Aeduan, though all readers’ favourite characters are back in action – including Safiya, Iseult, Ryber, Merik, Vivia, and more. High in a snowy mountain range, a monastery that holds more than just faith clings to the side of a cliff. Below, thwarted by a lake, a bloodthirsty horde of raiders await the coming of winter and the frozen path to destroy the sanctuary and its secrets. The Bloodwitch Aeduan has teamed up with the Threadwitch Iseult and the magical girl Owl to stop the destruction. But to do so, he must confront his own father, and his past. I have some very exciting news for you – Robin LaFevers sent Raincoast Books a goody bag of character card, and Raincoast Books wants to share them with Canadian fans of the His Fair Assassins trilogy and the Courting Darkness duology! And trust me – you’re going to want to get your hands on these character cards – they’re absolutely stunning!